With elections in Tanzania, the ones which take place in Zanzibar are always problematic and the latest election turned out to be even more so than the previous three elections where the results were not accepted by the opposition CUF party. ZEC Chairman Jecha Salim Jecha (left) making the announcement. 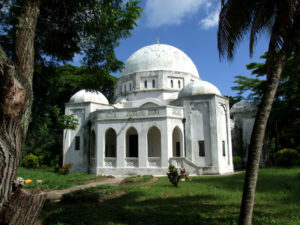 Branson’s paper continued by advising on the Zanzibar situation: ‘Zanzibar’s House of Representatives did not return on 12 November, as required by the Isles’ constitution. Six cabinet ministers resigned from the Zanzibar’s government of national unity (GNU). The incumbent president of Zanzibar Dr Ali Mohamed Shein, a stalwart of the ruling CCM, party, still remains in office despite his term having elapsed on November 2, 2015. ‘This limbo follows an unprecedented declaration by ZEC Chairman, Jecha Salim Jecha, in which he unilaterally annulled the vote on the Isles without consulting his fellow commissioners. The Isles’ former Attorney General questioned the legality of Jecha’s decision. ‘The ZEC chairman cited unspecified irregularities on the northern island of Pemba, where CUF won all 18 seats in 2010. 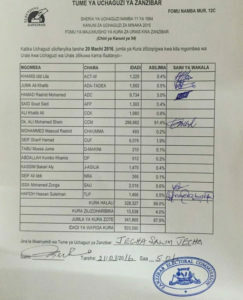 Tanzanian and international election observers challenged the announcement, regarding the polls in Pemba and said that they were fairly conducted, while the European Union and the US embassy called for Jecha to reverse his decision. ‘The farcical nature of the announcement did not escape the attention of those familiar with the voting process. 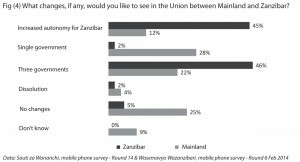 Jecha may have prevented ZEC from completing the tally on Zanzibar, but votes cast at the same polling stations were counted by the National Electoral Commission (NEC) for the purposes of determining the Union presidency and parliament. 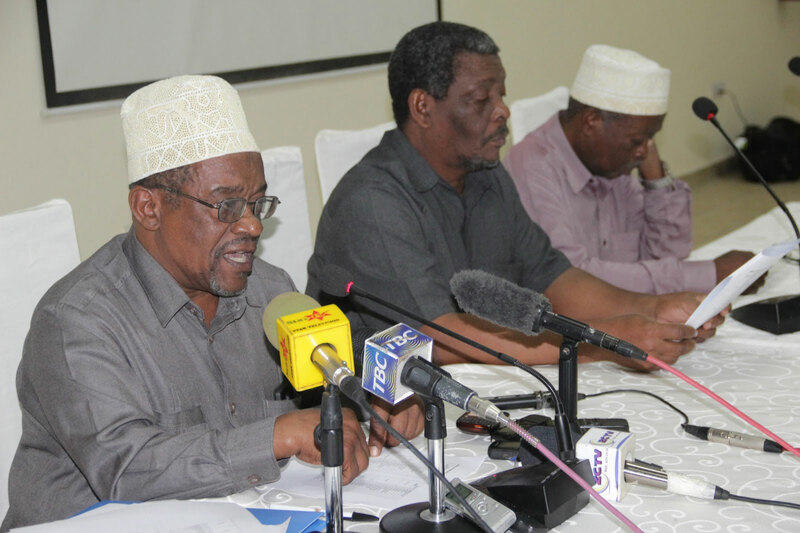 CCM loyalists insist that a new round of elections must now be organised, regardless of the significant cost at a time of budget shortfalls, and potential disruption to the profitable tourist season. CUF maintains that the people have already spoken. 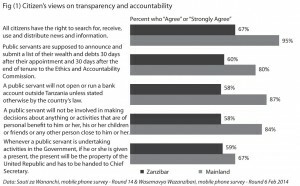 After two decades of extremely close results, they have reason to question what appears to be a politically-motivated decision by the ZEC chairman, who is, after all, a presidential appointee and not a technocrat. Branson’s paper went on: ‘In the light of seemingly compelling evidence, many will question why CCM remains so reluctant to accept defeat on the Isles. 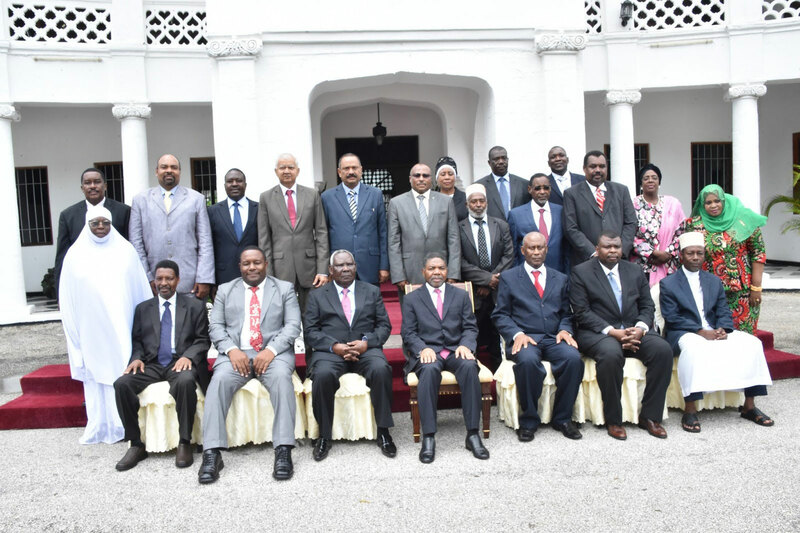 The ruling party should have nothing to fear given that the Zanzibar constitution provides for a permanent Government of National Union (GNU) under which the runner-up becomes First Vice-President. Hamad has occupied that post for the past five years, spurring economic development in historically neglected Pemba. The former teacher and education minister has pledged to form a new GNU, with equal representation for CCM and CUF, once he is declared president. ‘Prior to the election, academics argued that Zanzibar’s GNU had brought to an end to “zero sum” politics. Yet, conversation with the author, ministers and MPs from the Isles revealed a lack of trust between the parties across both the executive and legislative branches. Incomparable loyalties to party and state meant that some cabinet ministers refused to be bound by collective responsibility, delaying the enactment of policies which they opposed. Branson’s paper continued: ‘CCM is the longest-serving ruling party on the continent, and the reluctance of its leadership to share power can be traced back to the single-party era. Tanzania’s founding president, Julius Nyerere, established a culture of political competition within the confines of the ruling party. This helped to “recycle” elites while ensuring debates took place within established parameters. 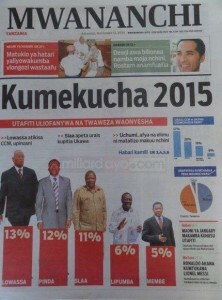 ‘Three of Tanzania’s neighbours – Kenya, Malawi and Zambia – also held comparable elections during the single-party era. Unlike Tanzania, the three nations have subsequently passed the “two turnover test”, whereby a ruling party is voted out of office twice. 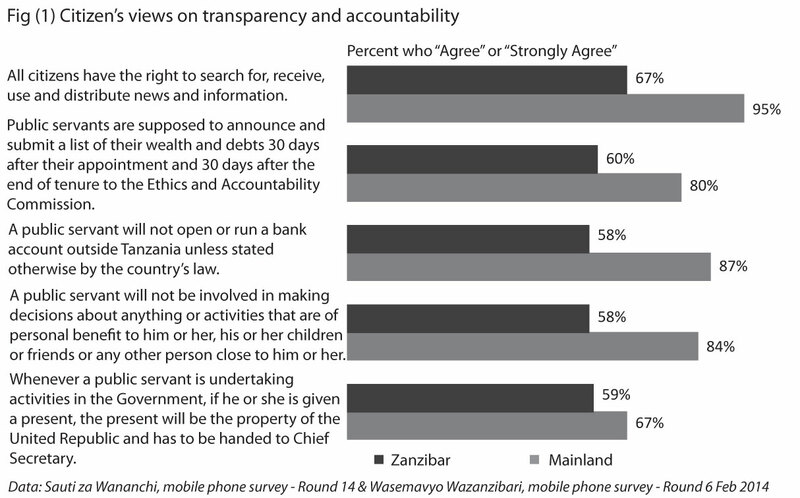 Accordingly, Polity IV classifies the trio as a “democracy” while it regards Tanzania as a “closed autocracy” comparable with Uganda and Rwanda. ‘CCM supporters would argue that the party has not been voted out of office because it has maintained peace and security, provided good (enough) government, promoted inclusive growth, and pursued incremental reforms. ‘On the mainland at least, this is true. The ruling party has largely avoided confrontation with the opposition – with a few notable exceptions – and catered to its agrarian support base in the centre and south of the country. Politicians have also harnessed the grassroots network which was built during the single-party era, helping CCM to mobilise rural voters. Many Tanzanians found the 2015 campaign very exciting and they turned out in vast numbers wherever the main candidates appeared. Billboards were put up all over the country. Outside the Kilimanjaro Airport a huge image of Magufuli was displayed with the Swahili words “Sitawaangusha” – Swahili for “I will not fail you”. The EU Observers mission of 140 observers had hoped that the eight leading candidates for the presidency would have taken part in at least one TV debate which would have reached nearly 25 million viewers. Media Council of Tanzania Secretary General Kajubi Mukajanga tried hard to get the parties together but the UKAWA presidential candidate apparently did not wish to take part. In the end, Dr Magufuli did not turn up either, and the debate took place with just three minor parties’ candidates. The Election Observer mission of the Commonwealth, headed by former President Goodluck Jonathan of Nigeria, observed the voting and counting processes across Tanzania. The statement of the mission said: “We note with great concern the statement issued by the Chairman of the ZEC in which he nullified the Zanzibar elections. We issued an interim statement on 27 October, in which we all confirmed the credibility of the voting process in Zanzibar. We were pleased that the voting and counting took place in an atmosphere of peace, and that the people of Tanzania demonstrated a strong commitment to democracy”. 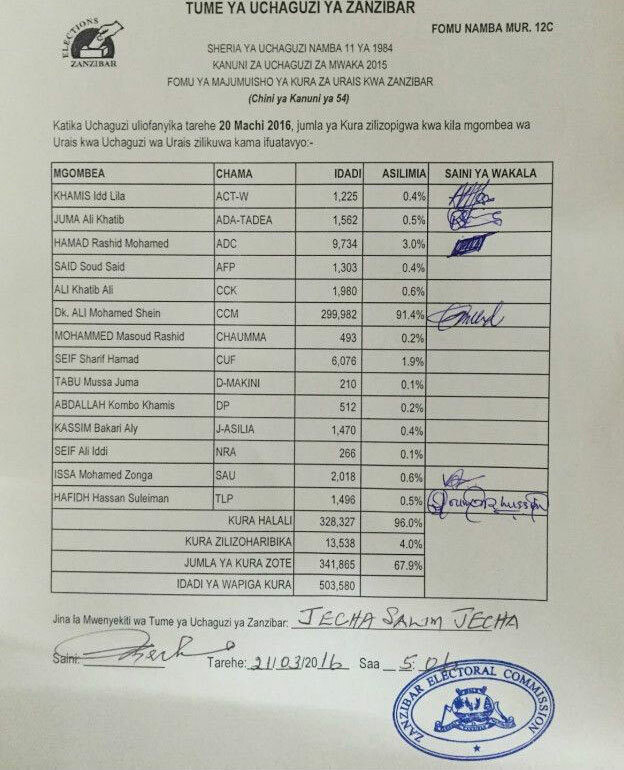 Zanzibar Electoral Commission Chairman Jecha Salim Jecha, insisted that the poll was filled with flaws. He said the election was not fair especially in Pemba. He said that he had faced many obstacles, noting that they were the ones that had earlier influenced his commission to delay releasing the results as stipulated in the law. Enumerating the nine points that had influenced their decision, he noted that the members of the Commission had started fighting within the ZEC office as the process was going on. He also said that there were many polling stations, especially in Pemba, whose numbers of voters had outnumbered the actual number of voters in the register. He added that there were youths who were prepared by some political parties to stop people from accessing polling stations. There were also complaints from various parties who were not content with the entire process. “I therefore nullify this election and a new one will be prepared in the next 90 days”, Jecha said. Towards the end of the Zanzibar elections and their annulment by the ZEC Chairman, soldiers surrounded the hotel where the votes were being tallied and ejected journalists and election observers. 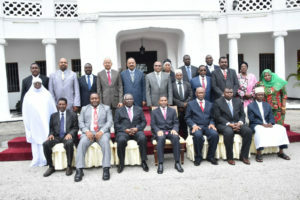 Eventually the Zanzibar government began a series of meetings of the interested parties plus several prominent leaders to try and reach a compromise solution. The meetings were still going on as this edition of TA went to press. Nick Branson is a Senior Research Officer in the African Research Institute (ARI). During 2015 he published a series of articles on constitutional reform in Tanzania and on the elections. Between January 2009 and March 2013 he managed capacity building projects with the Civic United Front on behalf of the Westminster Foundation for Democracy. He is currently studying for a PhD at SOAS.